Want to know what timesheets can do for your business? Here is all that you need to know to get started. A timesheet is a data table which an employer can use to track the time a particular employee has worked during a certain period. Businesses use timesheets to record time spent on tasks, projects, or clients. There are different methods that have been used to record timesheets, such as paper, spreadsheet software, and online time-tracking software. Paper-based timesheets have now given way to the digital formats. Any company or organization must accurately account for the time its workers spend on tasks and projects. Time entry involves employees entering the time they start and end work on a task or project on a timesheet. This data is then used in client billing as well as payroll processing. 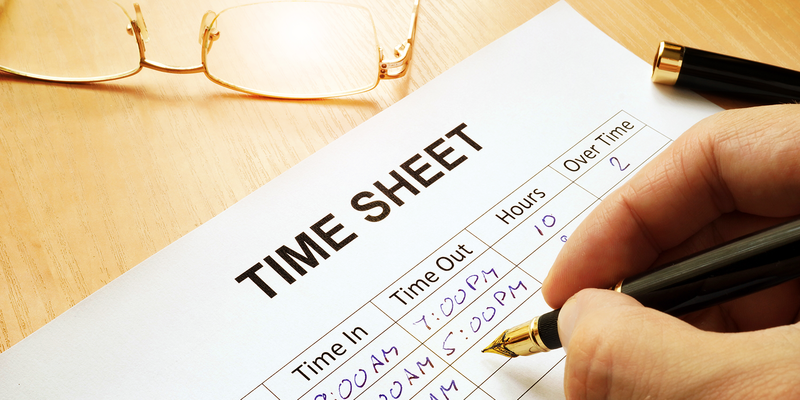 Why should a business use timesheets? A business can meet its deadlines, maintain its budget, and achieve success when it uses time effectively. To do this, you need to be able to keep accurate records. This makes timesheets essential to any successful business. Timesheets help employers track work hours, leaves, accruals, and adjustments for processing payrolls.Time tracking software systems also provide employers with a trackable workflow for payroll approval. Inaccurate data entry is the leading cause of payroll errors. Time tracking software systems cut down these data entry errors to keep your payroll processing smoothly. Timesheets are a valuable tool in management accounting. They help managers to record start and end times for tasks. This is handy when managers need to know which tasks take up more time and identify areas that delay completion of work. It is important for law firms to maintain up-to-date records of client hours and details of the services they offer their clients. Timesheets provide assistance to law firms in tracking bills based on client service hours. Time is money for freelancers. Many freelancers charge clients by the hour, so tracking time precisely is top priority. For those who work at a different location from their clients, knowing the amount of time spent on projects becomes difficult. Using a time tracking system, a freelancer can measure time spent accurately and share the records with clients. This helps clients see where their money goes and also provides freelancers with accurate records. The profit made by accounting businesses depends on how efficiently workers spend time on clients. High utilization and high billability mean high profits. Timesheets and time tracking software can help accounting businesses track both their bills and their time. Thus, choosing the right software is a critical decision for accounting businesses. Timesheets help you understand where you are wasting labor. They help weed out tasks that take longer than necessary, and assist you in making decisions as to how you can optimize your tasks. Timesheets help you in billing accurately. They are a way of letting your clients know that you handle their projects efficiently and their money is not going to waste. With timesheets, your clients don't need to worry about constantly checking the status of their projects.They let them see how much time you dedicate to them and serve as proof of how accurate your billing is. Organizations that render services to clients based on billable hours use timesheets for billing. This can reduce your costs by automating billing and invoicing. Automated billing can also increase revenue. By tracking time on a project, they help in qualifying an employee for a new project, role, or job based on performance. By analyzing time usage, you can determine the skill of someone in a particular area and utilize them in parts of a project for which they're better suited. They help in identifying areas in which a worker takes more time than allocated and needs additional training. They are helpful in measuring the overall efficiency of your project. They help in identifying the availability of workers assigned to a project, making it easy to distribute the workload among group members. They enable project managers to monitor progress and anticipate delays. They help project managers estimate expected costs and compare them to the real cost of the project during execution. Timesheets let you know exactly what your employees are working on. They track efficiency of workers by comparing the amount of time they work with the output they produce. Timesheets help spot employees that perform poorly and cost your company money. By telling you who is productive and who is not, timesheets help save a lot of money for your company. Co-workers can often use different operating systems within a single company. Thus, the time tracking software that you choose needs to be compatible with different operating systems, including iOS, Mac OS, Windows and Linux. Your timesheet software should provide different filters for your information in the form of daily timesheets, weekly timesheets, monthly timesheets, departmental timesheets, and any other visualizations that you might need. When an employee submits detailed timesheets, real-time status updates should be available to managers. Employees should be able to request time off and managers should be able to approve or deny the request. The timesheet software you choose should come with around-the-clock help and support, irrespective of your business's location. Customers should be able to reach support through phone, chat, or email. You should be able to export time records to other systems so that integrating timesheets with other business applications is easy. With technology advancing faster than ever, and time becoming the most important resource for a business, time tracking is vital to success. Good timesheet software lets you bill customers, manage projects better, and improve payroll processing. With quality software comes improved time management that can help drive your business to success. Say goodbye to paper and spreadsheets. 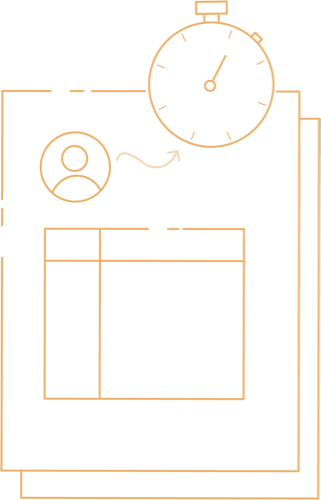 Say hello to a fully online time tracking solution. Say hello to Zoho Invoice. It's totally free. Try it now!